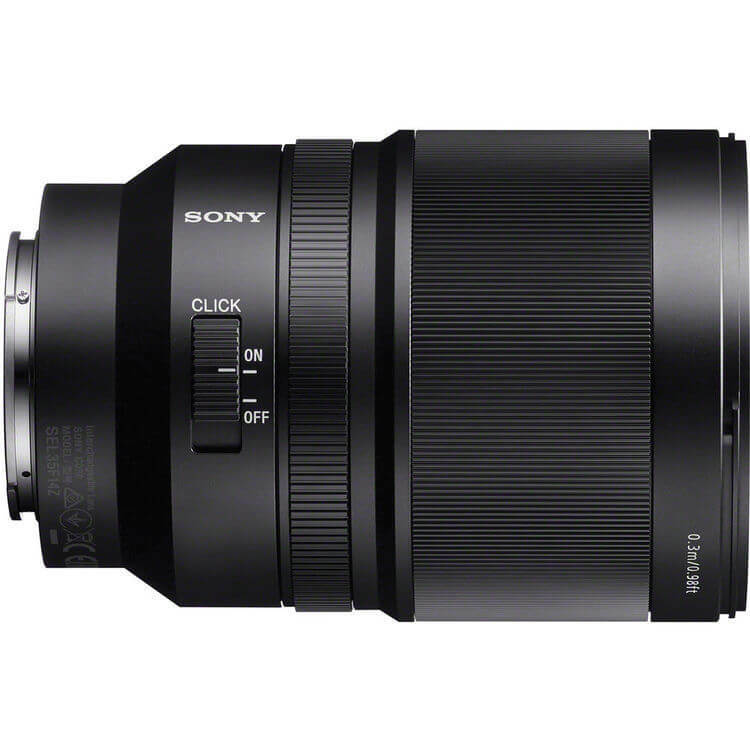 Fast, sharp, and loaded with the latest technology, the Distagon T* FE 35mm f/1.4 ZA Lens from Sony offers full-frame E-mount shooters a classic wide-angle focal length with excellent optical performance. Offering a maximum aperture of f/1.4, shooters will enjoy excellent performance in low-light conditions as well as the ability to create images with a shallow depth of field. Ensuring excellent imagery are three aspherical elements and one Advanced Aspherical (AA) element which combat aberrations. 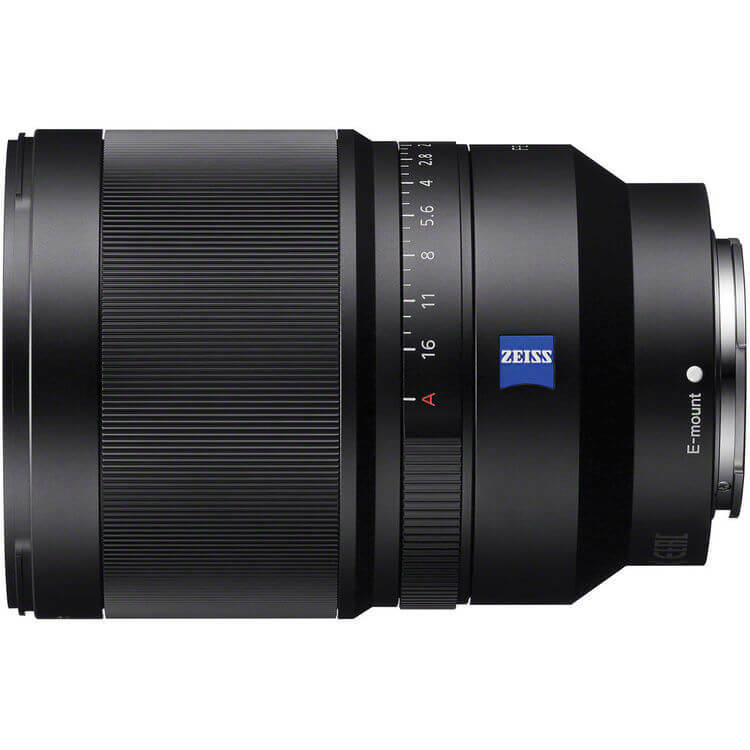 Along with this, the lens uses a Zeiss T* anti-reflective coating to effectively eliminate flare and ghosting to create a sharp, contrasty image. 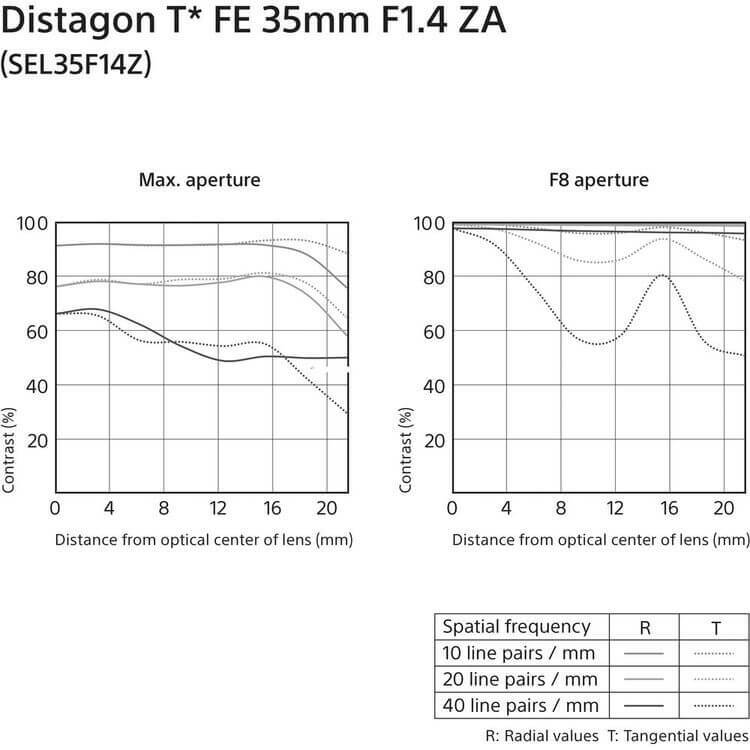 Photographers and videographers will enjoy fast, responsive focusing due to the implementation of a direct drive Super Sonic wave AF Motor (SSM) and an internal focusing mechanism. There are tactile control options as well, including an AF/MF switch and a physical aperture ring, which can be de-clicked for smooth iris changes during video. Smooth bokeh is also a characteristic of this lens due to the use of a nine-blade circular diaphragm. And, the lens is dust and moisture resistant for use in less-than-ideal conditions. Based on the Zeiss Distagon optical concept, this lens uses a design with 12 elements in eight groups that helps achieve the large maximum aperture of f/1.4 while helping to minimize vignetting and spherical aberrations. 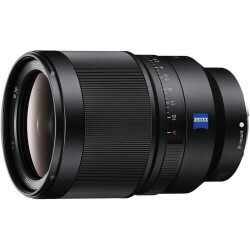 A wide-angle prime designed for full-frame E-mount cameras, this 35mm is also compatible with APS-C models where it will provide a 52.5mm equivalent focal length. 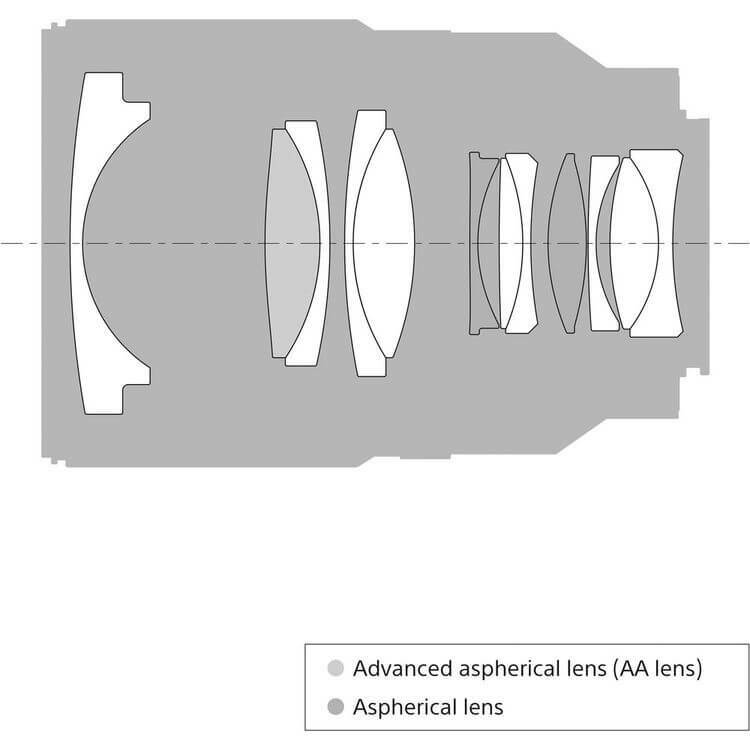 One Advanced Aspherical (AA) and two aspherical elements are incorporated into the optical design for effective control over astigmatism, field curvature, coma, and other spherical aberrations. A direct drive Super Sonic wave Motor autofocus system and internal focus mechanism provides quick, quiet, and precise autofocus performance and also contributes to more natural, intuitive manual focus control. An AF/MF switch is located on the lens barrel for tactile control over this setting.